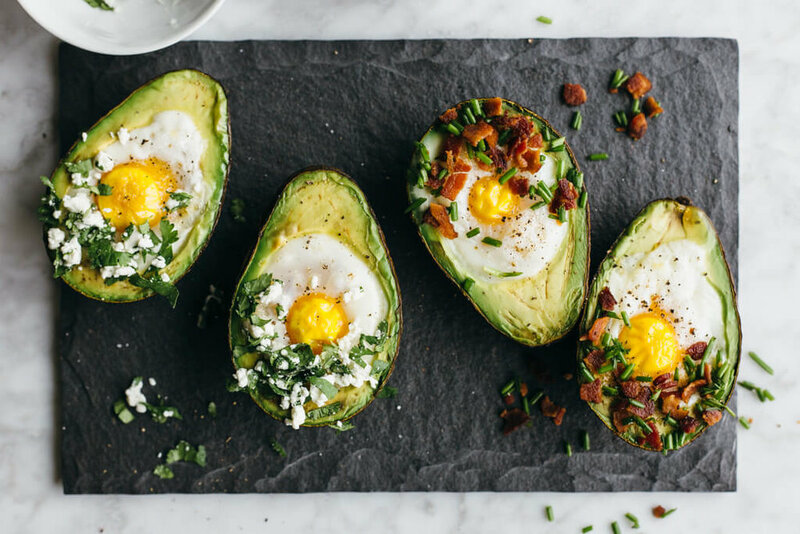 Baked with eggs: halve and de-seed an avocado, crack an egg into each cavity (scoop out more avocado flesh if you need to), then bake in the oven until the egg yolks are at your desired consistency. Guacamole: mash 2 avocados and mix in 1/4 cup lime juice, 1 chopped tomato, 1 chopped red onion, and add salt and pepper to taste. Chocolate mousse: blend 2 ripe avocados with 4 tablespoons of honey (or alternative sweetener for a vegan option), 1 teaspoon of vanilla and ½ cup of raw cacao powder. Allow to chill in the fridge for 1 hour before serving. if your avocados are ready for eating is to apply gentle pressure on the stem to see if it yields. If it does, it’s ready to go! What’s your favourite way to enjoy an avocado?